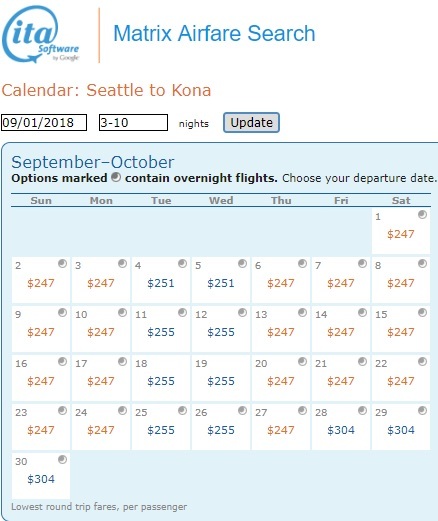 One of the best fares we have seen for a long time to beautiful Hawaii! This fare is direct service on Delta from Seattle to Kona (The Big Island) or from Seattle to Lihue (Kauai). This is Delta's basic economy fare so a carry-on and personal item are included but checked luggage and advance seat assignments are extra. Best dates are in September. Use ITA Matrix Software to find the best dates. Book direct through Delta for the frugal fares! Feb 26 Portland to Kauai, Hawaii for $314RT!